You can have a look at the design, decide that it is very clever and be stunned by Ford’s victory on the PR front. Congratulations Ford! You have understood, that the best way to get good publicity is to solve a problem which is not directly part of your core competences. 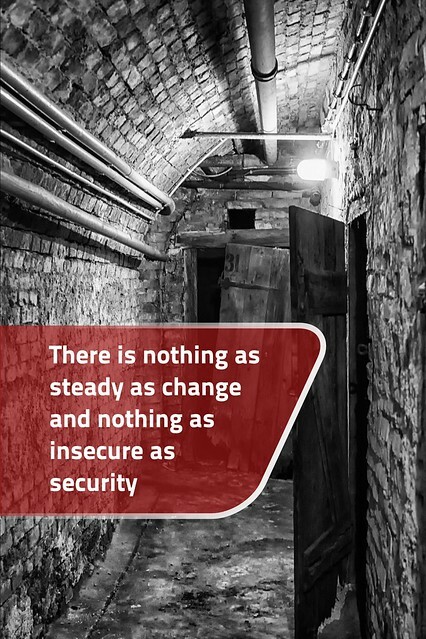 I always enjoyed this saying on change and security. Just remembered it and had to make this poster. I think change is one of the things you cannot get used to. What do you think? Why not emphasize the colors? Maybe it is a little bit too much, but I think the slight color in the sky helps to establish a balance. The brainstorming process is BS? 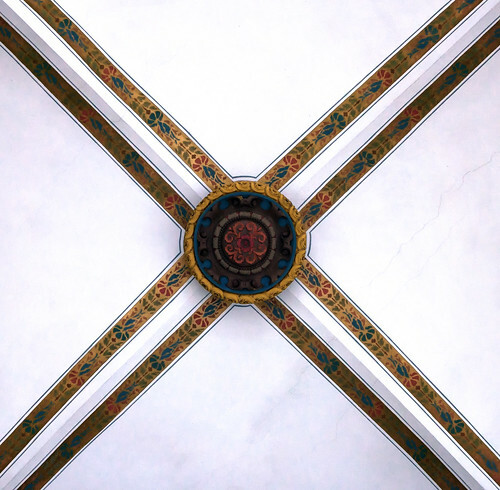 The cross, a photo by stst31415 on Flickr. Sometimes beautiful things happen above your head.